The Saatchi Gallery and Huawei are pleased to announce that, as a result of its popularity with visitors, the run of From Selfie to Self-Expression has now been extended to 6 September 2017. 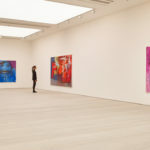 Saatchi Gallery and Huawei, the world’s number three smartphone brand, announce they have teamed up to present From Selfie to Self-Expression. Opening at the Saatchi Gallery on 31 st March 2017, the show will be the world’s first exhibition exploring the history of the selfie from the old masters to the present day, and will celebrate the truly creative potential of a form of expression often derided for its inanity. From Selfie to Self-Expression will showcase key artworks, many of which feature interactive, digital and user-generated content, by artists as diverse as Kutluğ Ataman, Christopher Baker, Juno Calypso, Tracey Emin, Van Gogh, Mohau Modisakeng, Rembrandt, Cindy Sherman, Gavin Turk and Velazquez. Showing alongside examples of many influential artists’ work will be selfies that have quickly become icons of the digital era – from the beautiful and sublime to the mad, bad and downright dangerous. 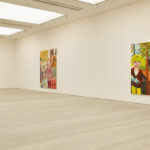 Huawei’s partnership with the Saatchi Gallery is a demonstration of its commitment to growing its brand presence in the UK and support of creative expression through photography everywhere. It follows the launch last year of the game-changing Huawei P Series smartphones which reinvented smartphone photography with the world’s first dual-lens camera co-engineered with iconic camera brand Leica. To coincide with the announcement of the exhibition, Saatchi Gallery and Huawei have joined forces to offer artists, photographers and enthusiasts around the globe a chance to show their most creative selfies internationally, and have their work exhibited at the Saatchi Gallery, as part of the competition #SaatchiSelfie. The #SaatchiSelfie competition will be judged by a panel of renowned artists and forward-thinkers. In addition to having their selfie showcased at the Saatchi Gallery as part of From Selfie to Self- Expression the ten shortlisted winners will also receive Huawei’s newest smartphone, and the overall winner will receive a priceless photographic experience, to be announced at a later date. The overall winner of the #SaatchiSelfie Competition will be announced at the show’s launch in London on 30th March 2017. The competition opens for submissions on Monday 23 rd January. All details can be found at www.saatchigallery.com/selfie all entries to the competition can be viewed on the same URL. 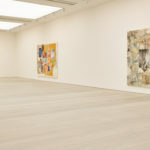 The Saatchi Gallery was founded in 1985 with the aim of bringing contemporary art to as wide an audience as possible and make it accessible by providing an innovative platform for emerging artists to show their work. 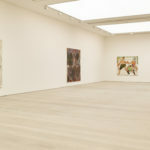 Over the last five years the Saatchi Gallery has hosted ten out of the top 15 most visited exhibitions in London, according to The Art Newspaper’s survey of international museum attendance, and is also ranked amongst the world’s top five most liked museums on Facebook, Instagram, Twitter and Google+. 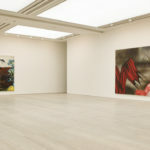 The Saatchi Gallery’s website has become a global meeting place for people interested in contemporary art. 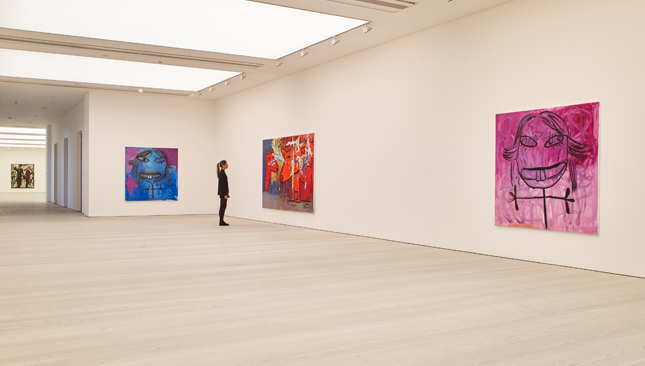 Entry to all exhibitions at the Saatchi Gallery is free.